Nestled among the many scenic and civic attractions of Orlando’s Urban Trail, the Mennello Museum of American Art has been welcoming visitors for the past 19 years. Lake Formosa in Loch Haven Cultural Park forms the backdrop of this great institution and provides exquisite landscapes that complement the collection of artworks housed within this cultural gem. The museum houses an extensive collection of paintings by American folk artist Earl Cunningham. Further, as a Smithsonian Museum affiliate, the Mennello offers a variety of exhibitions organized by its counterpart to complement its internally curated exhibits. This Orlando landmark has a mission to promote an understanding of the American creative landscape over its long and storied history. The Mennello Museum opened its doors to visitors in 1998. Its original mission was to display and preserve the works of American artist Earl Cunningham. In doing this, the museum was committed to contextualizing his work within a larger framework of traditional and contemporary American artists. While the museum is owned and operated by the city of Orlando, the structure was once the home of Dr. Philip Phillips, who was a well-known local philanthropist. The four-room gallery space creates an intimate viewing experience for guests, while the Marilyn L. Mennello Sculpture Garden outside forms the perfect backdrop for post viewing reflection. Complete with sculptures and a 350-year-old live oak tree, the garden seamlessly blends into the Orlando Urban Trail with its numerous walking paths. The Mennello Museum is committed to facilitating an understanding and appreciation of fine arts among various community groups. To this end, the museum offers a variety of programs aimed at youth and families. Chief among these efforts is the Mennello’s Community School of the Arts program, which endeavors to connect artists with students aged 11 to 21. This program consists of workshops that integrate hands-on art making with a theoretical framework for understanding artistic methods and concepts. Aside from the usual docent-guided tours, the Mennello Museum opens its doors free of charge to families every second Sunday of the month for their signature Free Family Funday Program. 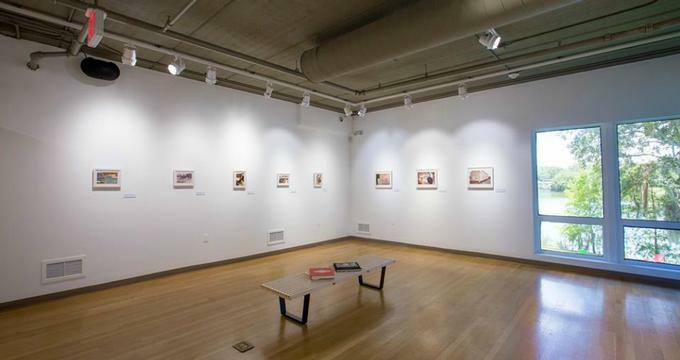 The permanent collection of the Mennello Museum consists of works by American artist, Earl Cunningham, which were donated to the institution by the Mennello family. Cunningham started his journey as a tinker, seaman, and chicken farmer, and eventually taught himself how to paint. His art reflects his lifelong love of the sea as well as his prolific travels all over the States and parts of Canada. Over the course of his career, his art became representative of a style known as American Primitive Fauve. His landscapes imbue viewers with a sense of childlike wonder as he blends sophistication with innocence, and reality with fantasy. Cunnigham’s work has received much critical acclaim since his death in 1977, and today he is one of the best known 20th-century American Folk artists. His work has been showcased all around the country and has been displayed at some of the most respected museums in the nation, such as the Smithsonian American Art Museum, the Abby Aldrich Rockefeller Folk Art Center, and the Metropolitan Museum of Art. Many of the museum’s exhibits can be seen in the sculpture garden. One of the most treasured pieces that appears there was created by the renowned artist Albert Paley. Viewers are invited to contemplate the way the artist has repurposed materials normally used in construction to convey a complex array of themes and emotions in his stunning sculpture Hector. Inspired by the eponymous character from the Greek epic, The Iliad, Paley’s sculpture invites viewers to reimagine the man, the warrior, and the husband through his skillful use of shape and color. In addition to Paley’s piece, the garden is also currently hosting a special exhibition titled Alice Aycock: Waltzing Matilda and Twin Vortexes. The two pieces on display were originally part of a seven-piece series titled Park Avenue Paper Chase. This exhibition kicks off the Mennello’s Grounds for Exhibitions exhibit, which aims to introduce Orlando residents to nationally acclaimed artists not otherwise exhibited in Orlando. Recent additions to the museum’s collection include works by Barbara Sorensen, which consist of pieces from both her Hanging Boats and Chalices series. Sorenson uses clay to explore themes converging on nature, spirituality and the use of the ritual. Her expert deployment of juxtaposing colors and textures invites viewers to explore the metaphors inherent in her work.